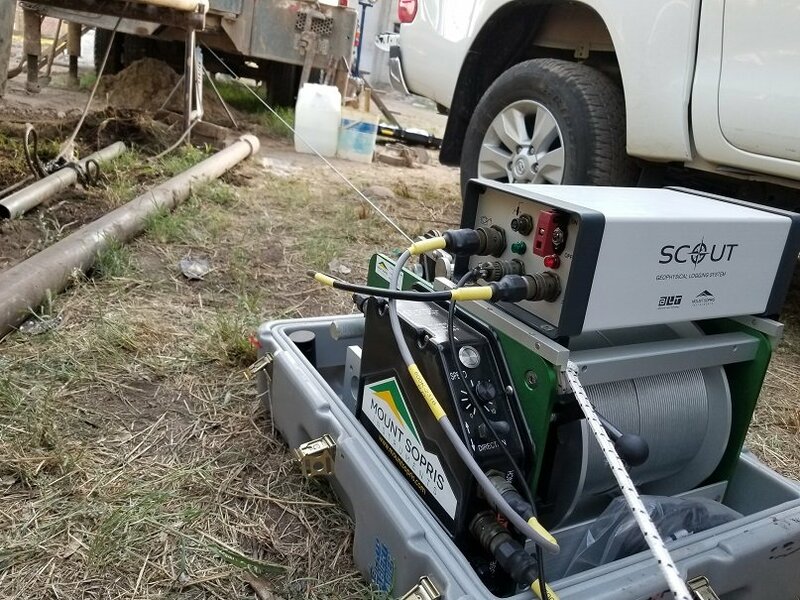 The MX Winch is a portable logging winch capable of positioning a geophysical probe or other downhole logging tools in a borehole. The MX winch product line is comprised of the MXA, MXB and MXC winches. 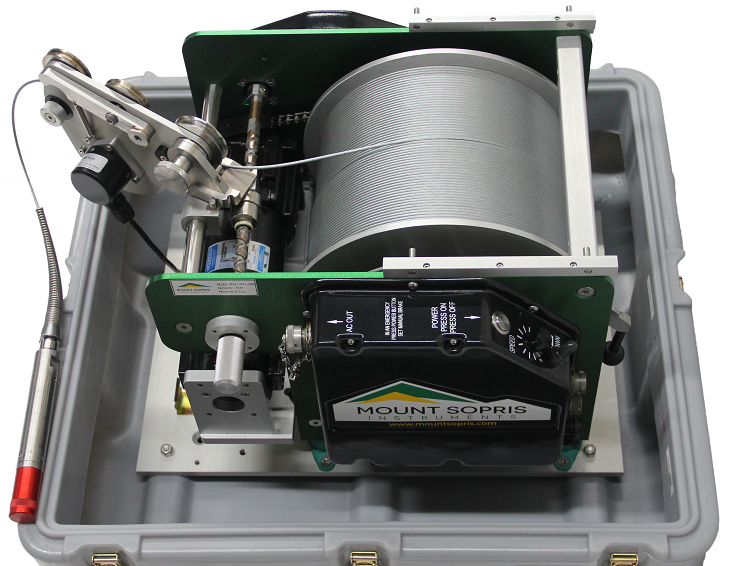 The system is equipped with a slip ring, cable level wind, depth measure head, mechanical brake, and connections through which surface data logger can communicate with the downhole probe. 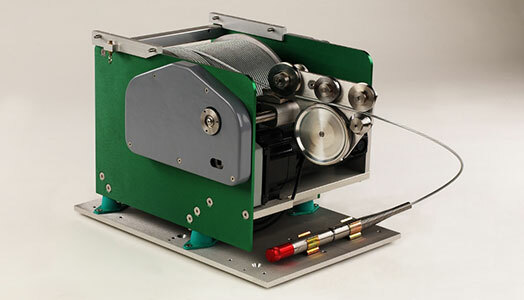 A high-precision measuring wheel and rotary encoder are included to allow the amount of cable played out to be tracked. 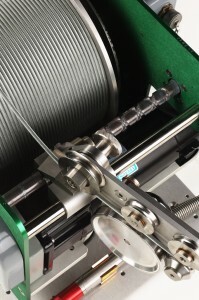 The cable is automatically wrapped on the drum in even layers through the level wind mechanism. The motor is controlled by an 110V or 220V four-quadrant motor speed controller that allows the speed to remain constant with a varying loads and prevents overhauling with heavy loads. It includes a mechanical brake. 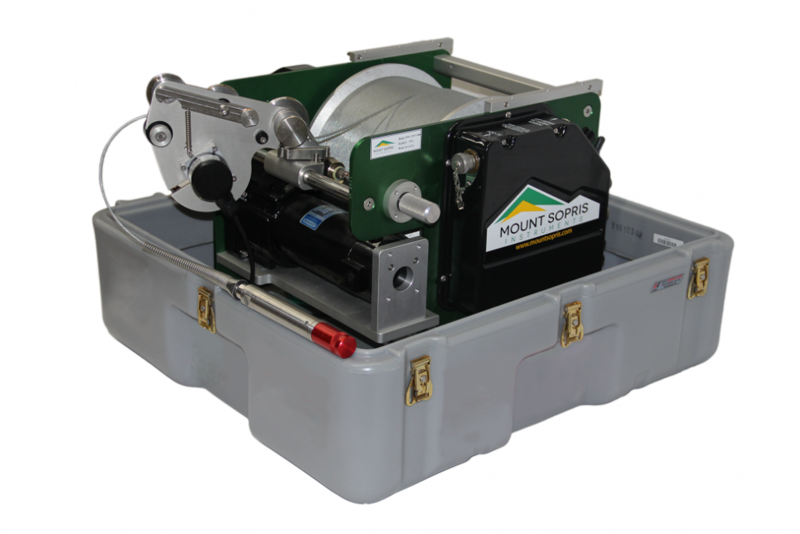 The winch is designed to be used in conjunction with the current Matrix or Scout consoles (or the older Bbox and MGX II consoles) and a portable computer to achieve a complete logging system. Depth Encoder: Quadrature 200 pulses/turn standard, others available. NOTE: When using a DC inverter to power the winch, a true sine-wave inverter is required for smooth winch operation. Minimum power requirement for such an inverter is 600 watts, which should also allow operation of the logger.